Atom-Bomb Bikini: Look Ma, I'm Onna Radio! While you're clock-watching at 4:30 this afternoon, tune in to TSN 1290 Winnipeg! 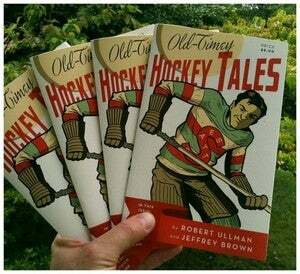 I'll be joining The Hustler and Lawless Show to talk about Old-Timey Hockey Tales, sporty pin-ups, the Winnipeg Jets, probably Sidney Crosby a little bit and god knows what else!